In their cooked form, rice is great for making spam musubi, sushi, and other amazing meals. 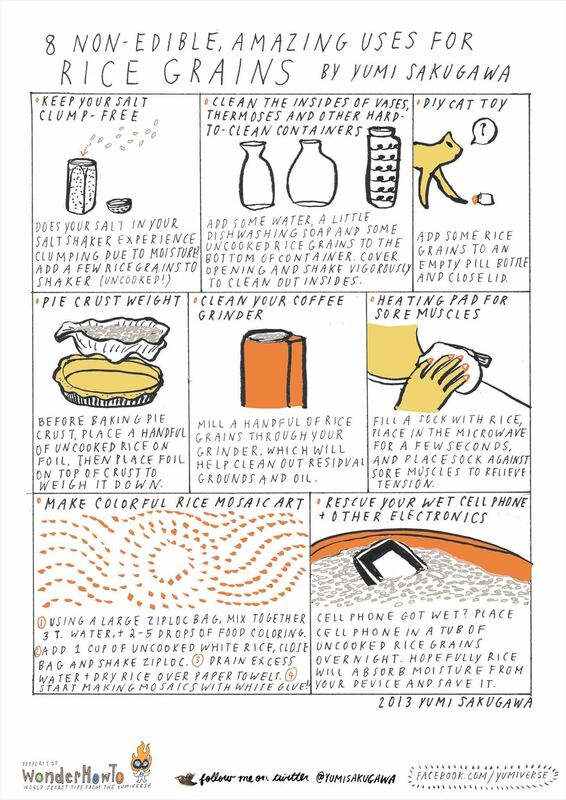 In their uncooked form, dry rice grains are unexpectedly useful for preventing your salt from clumping in your salt shaker, cleaning out the insides of weirdly-shaped, hard-to-wash containers, weighing down your unbaked pie crust, cleaning out your coffee grinder, and—if you act quickly enough—saving your wet cell phone from cell phone death. Rice can also be used to make colorful mosaic art, muscle-relieving heating pads, and DIY cat toys.